1-Give your children Vitamin D supplements if they aren’t getting enough in their daily diet. Talk to your healthcare professional about how much is needed. 2-Eat foods high in calcium every day, such as dairy products, beans, and green, leafy vegetables. 3-Make sure they get weight-bearing exercise, such as running, or dancing. Pressure builds strong bones. 4-Avoid carbonated drinks. They can leach calcium from your bones, and you are substituting a drink that could be calcium-rich, like milk. 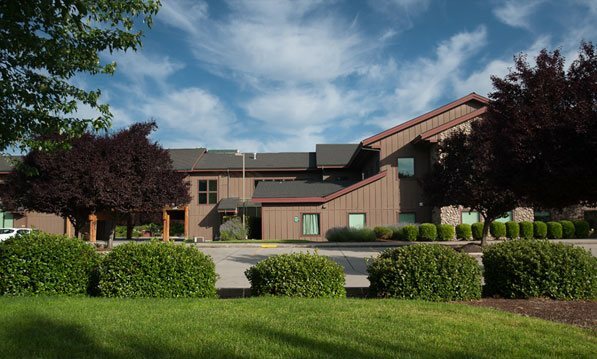 Paragon Orthopedic Center is your source in Southern Oregon of information about bone care, repair, and health. Our providers keep up to date on the most current studies to help you have the strongest bones possible. Osteoporosis is a huge health risk for not just thousands, but millions of people in in the United States. The drugs currently available help prevent bone loss, but they do nothing to build bone. This new one does. The FDA approved romosozumab (brand name Evenity) this week on Tuesday. The clinical trials showed increases in the bone density of participants, which translates to more protection from fractures in osteoporotic patients. There are side effects which must be weighed with your healthcare professional and Paragon Orthopedic Center is a great resource. We keep up with the most up-to-date medicines, procedures, and surgeries. If you aren’t getting answers that make sense from other healthcare professionals about your bone health, or want reassurance that your answers considered all the options open to your unique situation, the dedicated specialists at Paragon Orthopedics is the place to call. Count on Paragon for the best orthopedic care in Southern Oregon. Spring is here with many children on spring break this week. All of us might get out a little more and do things we haven’t done since the weather turned cold last fall. Paragon Orthopedic Center would like to remind you to stretch those muscles before you go for a bike ride, play volleyball with your teen, or pick up that bat for the softball season. Paragon Orthopedics sees many injuries caused by simply not warming up those muscles to be loose before making them work harder than they usually do. Just 10 minutes of warming up can make a huge difference. Think of your muscles like taffy; the more you work it, the softer it gets. It’s the same with your muscles. Prevent ligament tears and muscle strains Southern Oregon: warm them up! Get out and enjoy some free Vitamin D! Sunshine isn’t only good for uplifting the soul, it is also good for your bones! You cannot find a better natural source of Vitamin D than sunlight. Vitamin D is necessary for your body to absorb calcium, which makes our bones strong. The best time of the day is between 11am and 3pm. As you well know, the weather in Josephine County can be sunny one hour and raining hard the next. Paragon Orthopedics wants its patients to have the healthiest bones they can. Increase your Vitamin D, enjoy the sunshine today, and keep those bones strong! PRP: Can it help me avoid surgery? Paragon Orthopedics here in Grants Pass publishes monthly informational newsletters. Coming up in April will be the newest information about Platelet Rich Plasma therapy, which supplements the body’s repair process and sometimes helps a patient avoid invasive surgery. Sign up to receive the newsletter via email at Paragon Orthopedic Center and stay tuned to our blog! With narcotic usage up in Josephine County, Dr. Jim Van Horne is trying to do what he can to change this, and his research is proving highly beneficial to reducing the need for drugs in post-operative total joint arthroplasty. Check out this article.